If Seitoku were any lighter it would float away on a breeze. Pirouettes in perfect balance, with just enough body to support its delicate flavor. A graceful, refined sake with easy drinkability. 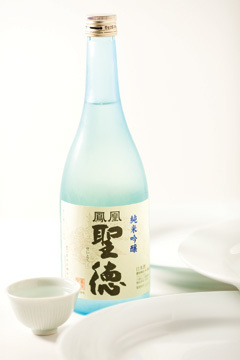 Seitoku’s palate-refreshing clarity makes it an ideal choice for sashimi and sushi.